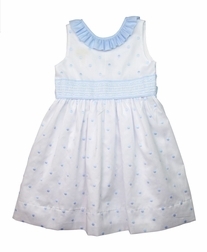 A beautiful, beautiful dress by Maria Elena's Marco & Lizzy line made of stunning Swiss white with light blue dots dress. 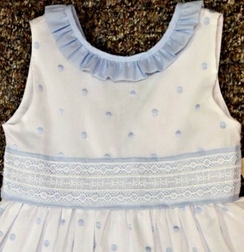 The dress has a sweet light blue ruffle at the neck line and light blue with lace front waist embellishment. 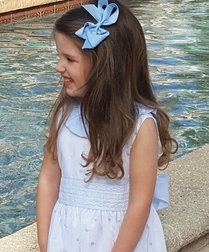 The back of the dress is finished with light blue fabric sashes that tie into a big, fluffy bow. 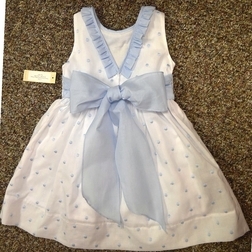 Perfect for Easter and other special occasions.